In his early teens, Joshua Edwards was known by police and after several run-ins he recognised that changes had to be made. 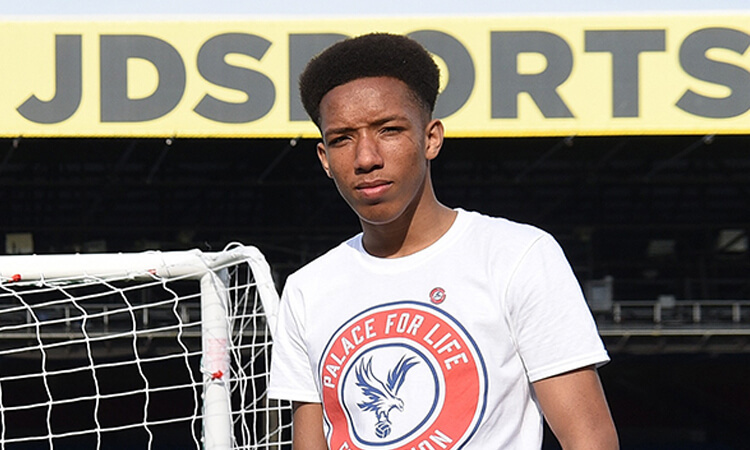 To distance himself from his gang of friends, he started attending weekly Kicks sessions at Selhurst Astro, which, he said, turned his life around. Now 17, Joshua hopes to work in community football so he can mentor those most in need. A pupil at Harris Academy South Norwood, he’s studying for his A-Levels and is part of the school football team which is run by the Foundation as a college academy team. The partnership between the school and the Foundation has helped to create a positive environment for Joshua, enabling him to continue the progress that he has made and stay on the right path. He’s also involved with the club, working in the catering department at Selhurst Park on match days.